Former bank cashier Lázaro Báez owns 25 ranches comprising 400,000 hectares in the southern Patagonia region, as well as dozens of properties and landholdings. The man accused of being the frontman for former presidents Néstor and Cristina Kirchner in alleged widespread corruption schemes will appear in court on Tuesday to face charges of money laundering. Lázaro Báez is accused of participating in a money-laundering scheme known as "the K-money route." It involves some US$60 million in alleged dirty cash. 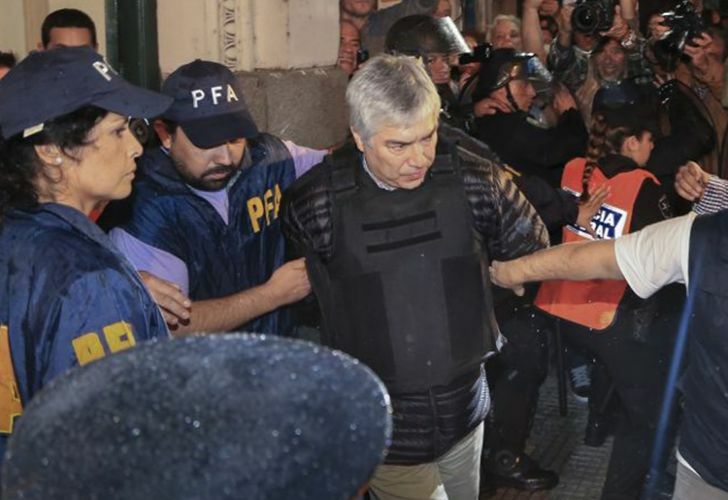 The prosecution alleges Báez, a former bank cashier, created a business empire in Santa Cruz, some 2,500-kilometres south of Buenos Aires, where he won tenders for oil and public works projects during the Kirchners' presidencies, spanning from 2003 to 2015. "Not only do I know nothing about this transaction but there is no evidence that links me to it," Fernández de Kirchner said in a written submission to Judge Casanello presented in September. Báez owns 25 ranches comprising 400,000 hectares in the southern Patagonia region, as well as dozens of properties and landholdings. A defiant Fernández de Kirchner said at the time that authorities could track her movements, tap her telephone calls and "dig up the whole of Argentine Patagonia" because "they will never find anything to implicate me as I never took any illicit money." The former head of state is under investigation in seven corruption cases in total, but claims she is the victim of "judicial persecutions" aimed at derailing her bid to run for a third presidential term in next year's elections. The latest case, the so-called "corruption notebooks" scandal, has implicated more than a dozen former government officials and 30 elite businessmen. Prosecutor Carlos Stornelli has said a total of US$160 million in bribes was handed over between 2005 and 2015.